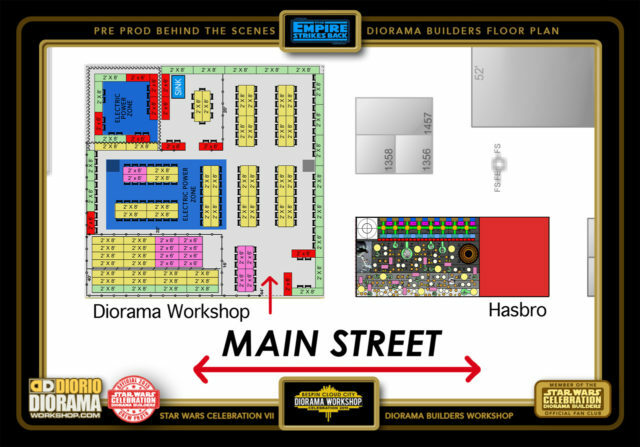 With the Addition of partnering 50/50 with Hasbro this year and having our final Diorama build be inside THEIR booth was an added logistics problem that ended up being a lot more problematic than anticipated, but that is a story for another page later on in the PRODUCTION phase of the coverage. So the first thing you will see this year, is that we wanted to make sure that there would be enough tables for people to build, so it maybe a little TIGHT with some of the chairs ;p OK I'm just kidding, This was actually a joke I made on our architect staffer Alissa who drafted the plans 🙂 You won't be coming to messiy tables LOL. 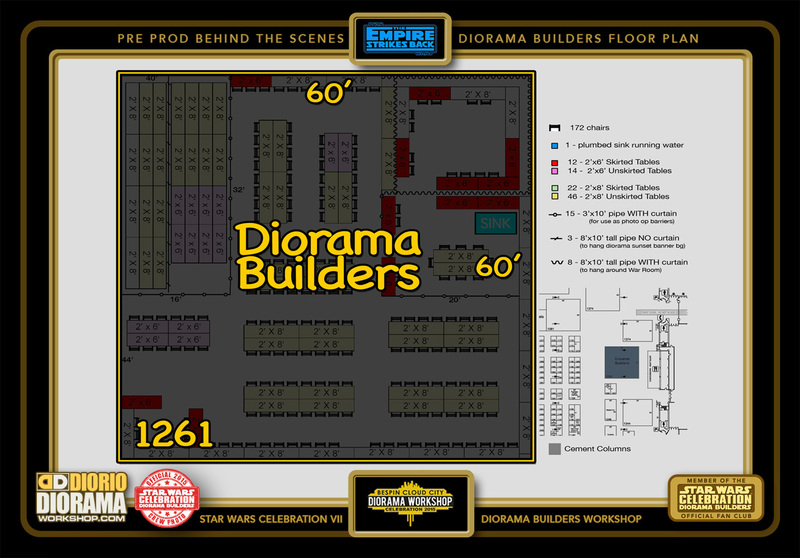 This years Diorama Workshop booth will measure 60x60 feet. The same size we had for Echo Base in Celebration V. It's a perfect size and worked the BEST of all the conventions we did these past 13 years. 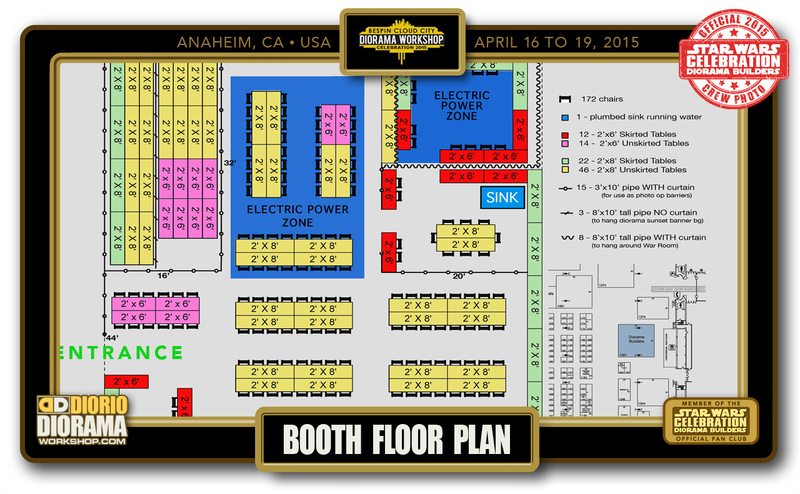 We will be in BOOTH #1261. The entrance will be in the bottom corner. Here you will sign in, get your hands stamped and your materials given to you. The rest is up to you to start building !!! You can notice the Top Left is (or was) where we had the final diorama exposed. 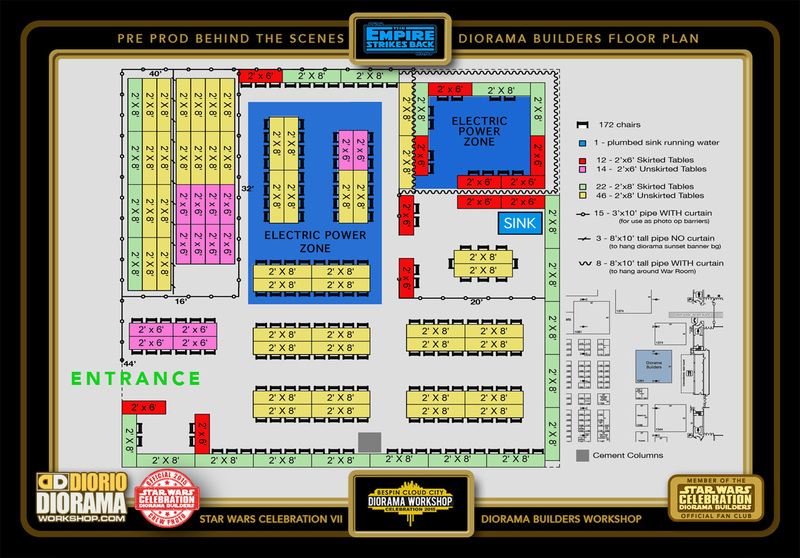 The BLUE Electric Power Zone will have the Hot Glue Guns. There will also be a SINK to clean your paint brushes, and our staff WAR ROOM in the Right Top corner. 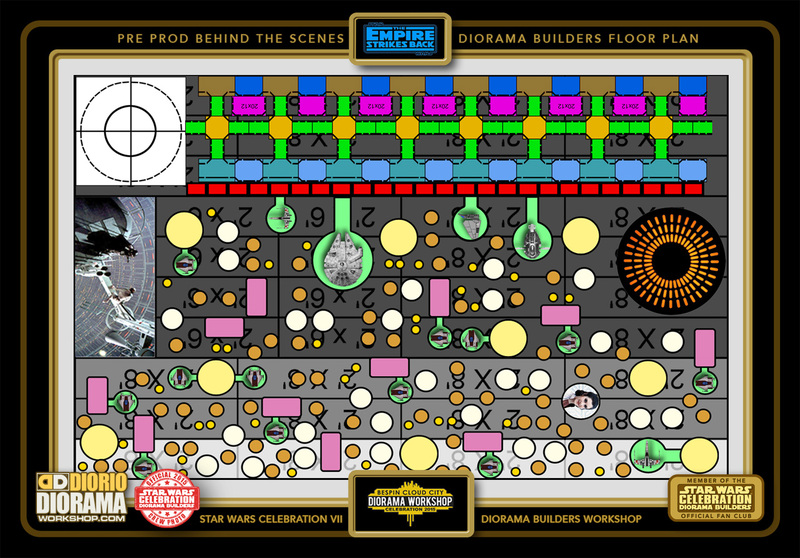 Here you can see the FINAL LAYOUT display for the completed diorama. 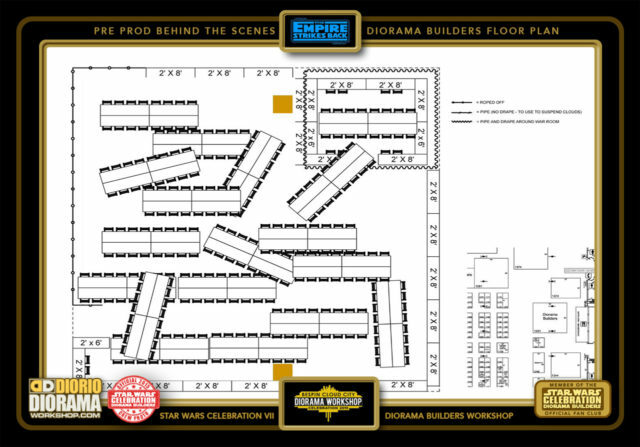 The bottom 3 table rows will contain 3 levels in height of Cloud City hallways and rooms. The Carbon Chamber will be behind that as well as Darth Vader Core Duel to the right. The rest of the diorama will be the OUTSIDE City Scape. 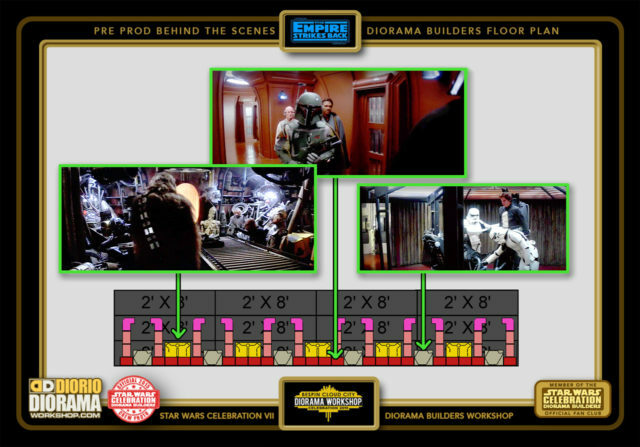 Containing the ship Landing Pads. Level 3 will house the CORE Hallways which contain 5 BIG ROUND WINDOW rooms. and 5 Light access Tunnels. 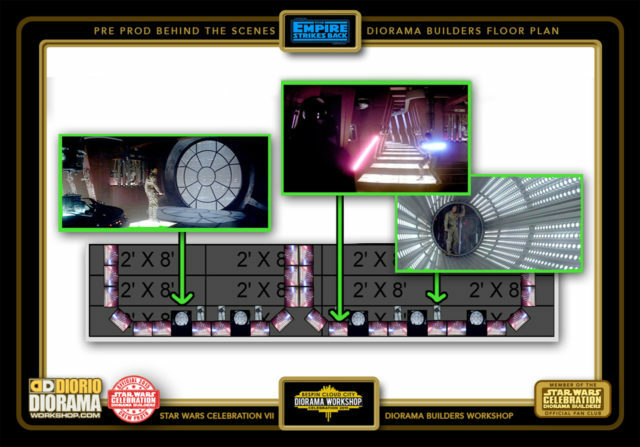 These Core hallways will on the right side, lead to the Vader Luke Duel core. 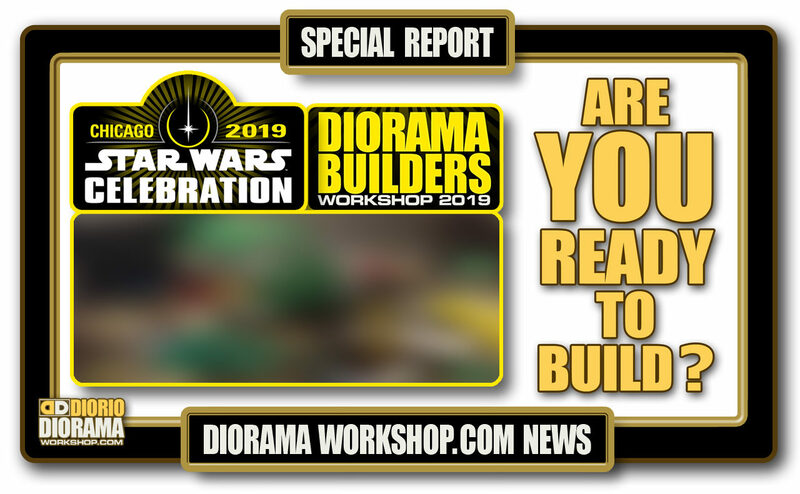 A closer look at the completed Diorama Display area. 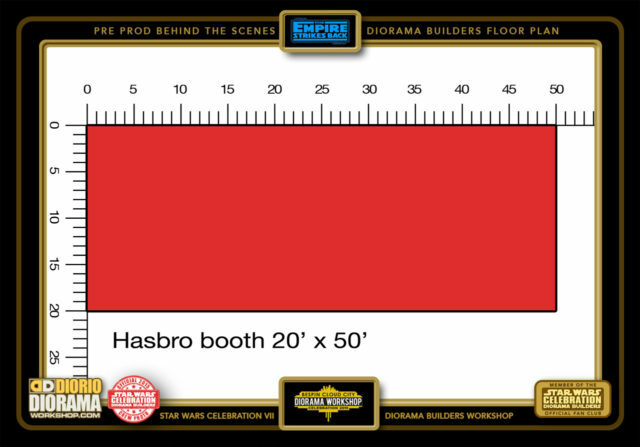 Originally designed to be placed inside our Workshop Booth. 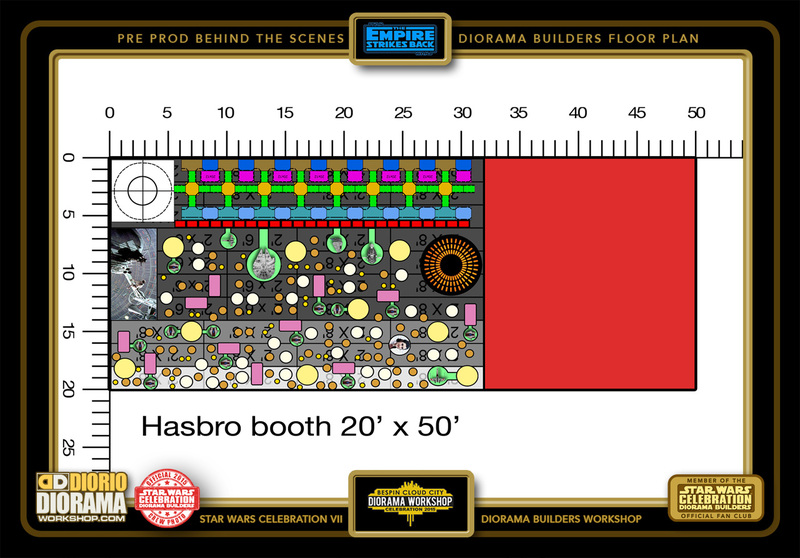 Hasbro called me and said they wanted to JOIN FORCES and Sponsor our booth in a BIG way. Their booth is a huge 20x50 feet. 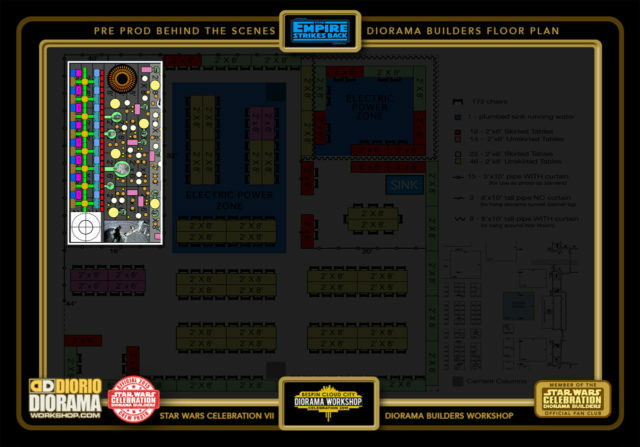 They said, we would want to have YOU come share our space and DISPLAY the final Diorama INSIDE the booth... Say WHAT ?!? 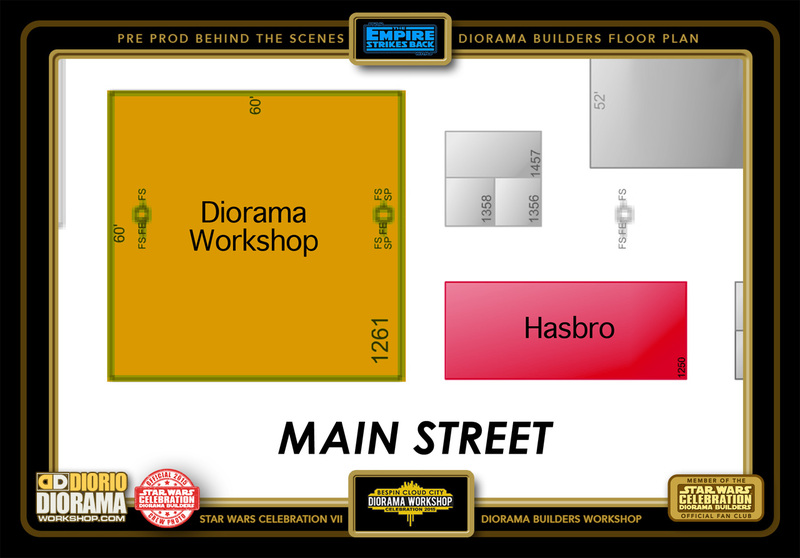 You see here, when you come to visit Hasbro Booth at the show, our Diorama will be smack down inside their space. 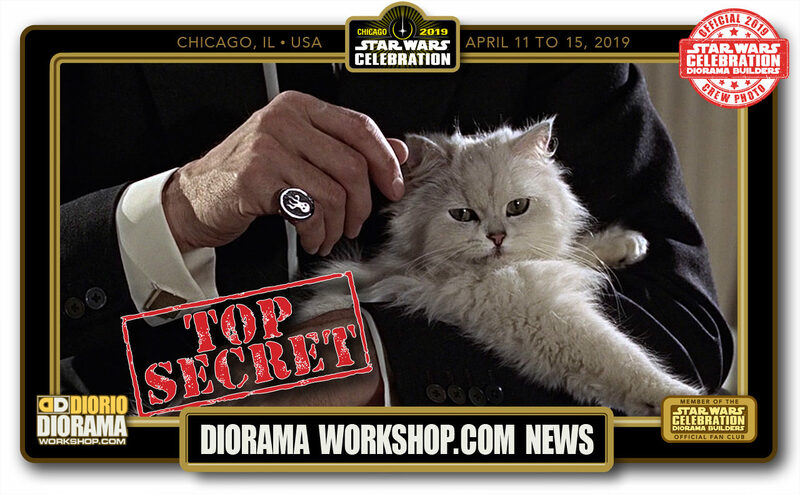 This is a dream come true and a TRUE Honor. Hasbro plans on having Stop Motion Time Lapse cameras to make Viral online videos. WOOHOO !!!! I have my own Brimo cams, will be really cool to see construction on all angles. To give you a better idea of the relation between Hasbro and our Diorama WOrkshop booths, We will be but 3-5 feet apart. 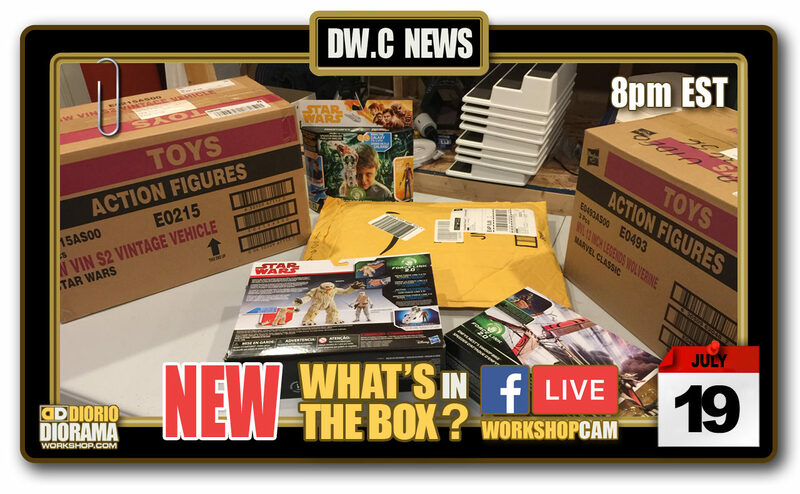 Will be a sinch to go back and forth with the Fan Creations. 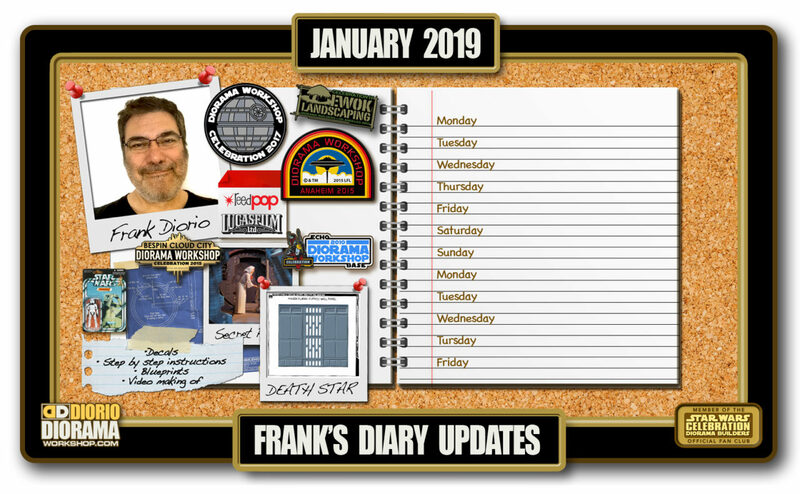 So here you have the FINAL Design Layout. Both booths are on the MAIN STREET strip. 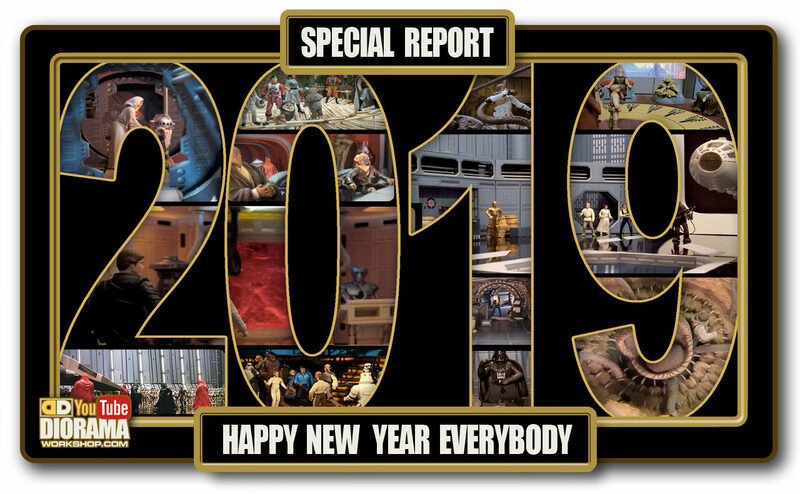 Just close to the end before the 501st and Jedi Training Stages. As you can see, our 60'x60' space will now be FULLY USED JUST for Arts & Crafts !!! 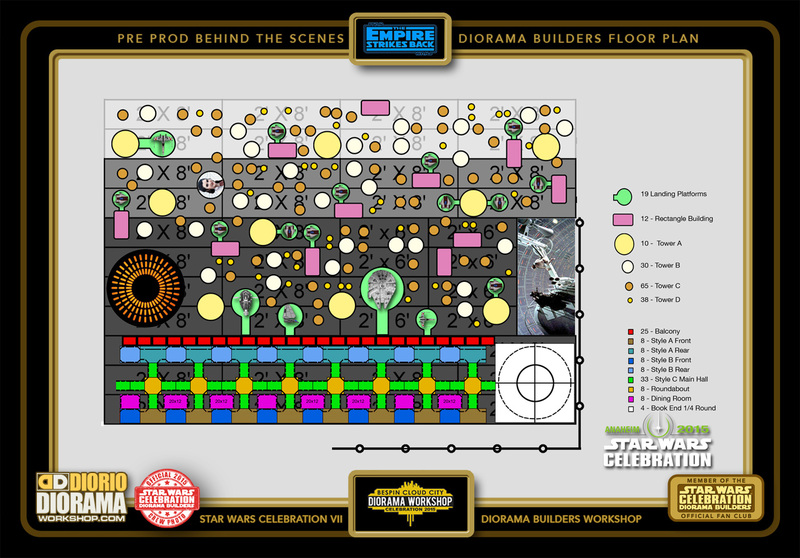 with the tables originally designed for display, modified to allow MORE FANS to come build and lower the Queue Line ups.